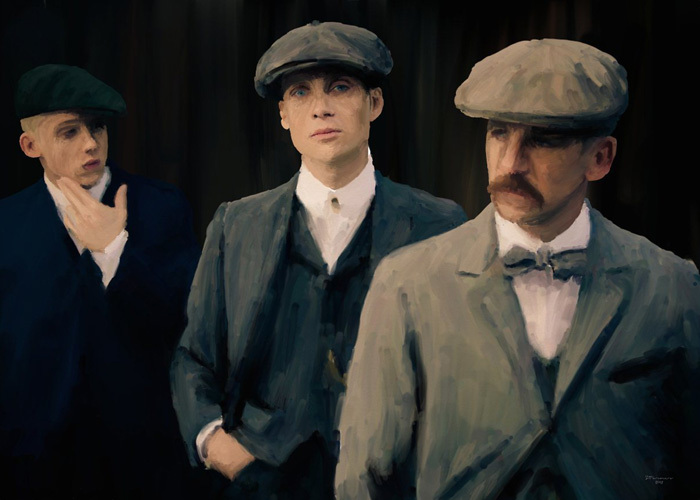 Peaky Blinders. It was quite a ride, wasn't it? 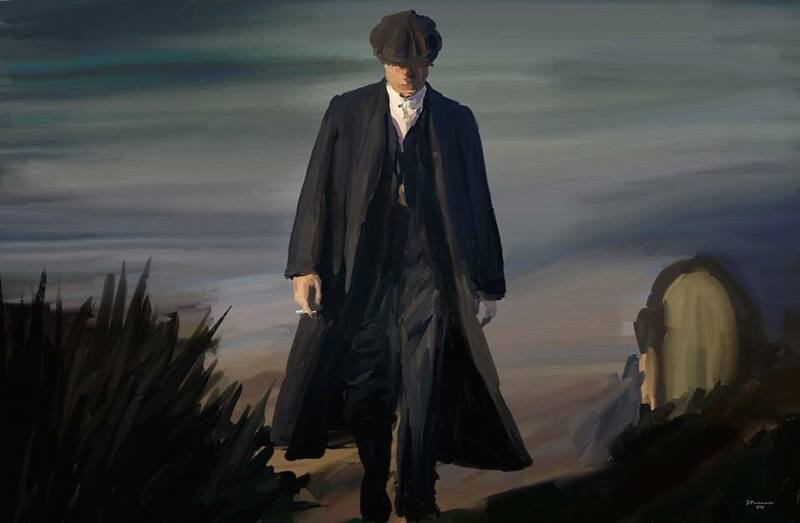 Achingly stylish and impeccably acted, it put post-World War I Birmingham onto prime time TV. And rather deservedly it will return for a six-part second series in 2014. Wolverhampton artist Steve Turner loved the show. "One of the best British-made programmes I've ever seen," he told us. "In a word: Superb." 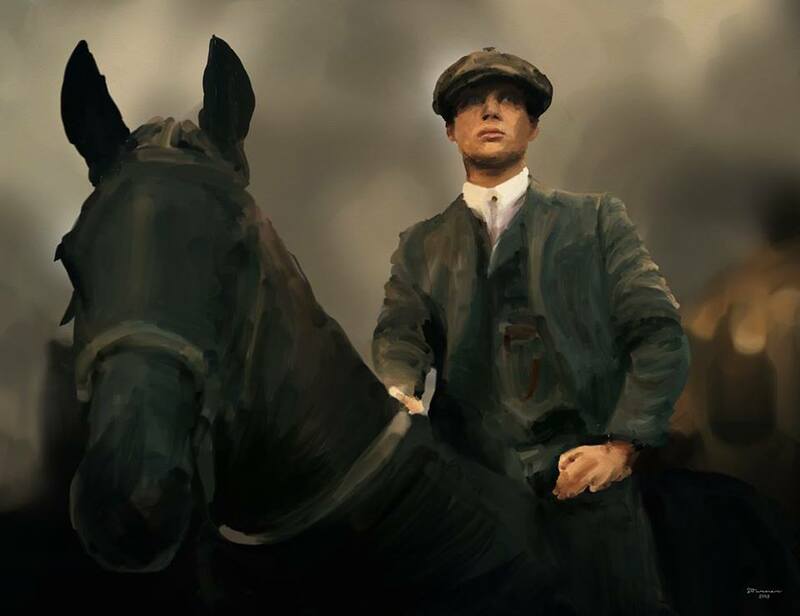 Such is Steve's passion for Peaky Blinders he's taken his skilled pen to some of the BBC show's most iconic moments, and he's giving the artwork away for free. "I don't charge for the imagery," he says. "It's a hobby. not a living. Just contact me if you like my work and I'll send you a high resolution file. All you'll need to do is get it printed. An A3 print should cost you about £6." Steve spends about six hours on each image, which are all hand-drawn using a graphics tablet. 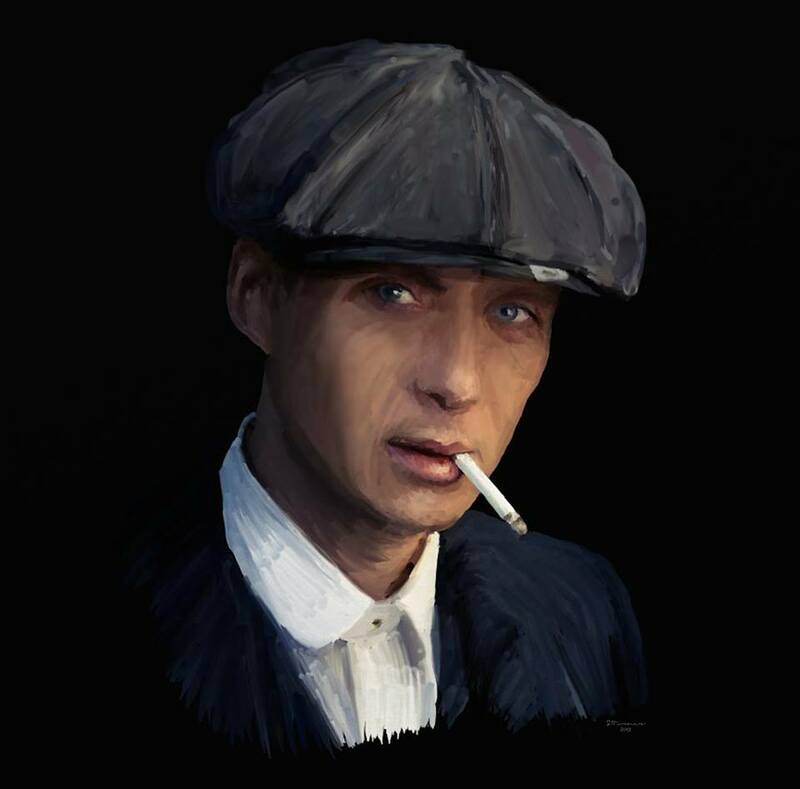 For our money this one of Cillian Murphy's character Tommy Shelby (above), cigarette between lips, is the pick of the bunch. You can see all of Steve's work here and contact him on turnersteve2@gmail.com. TWELVE SPEAKERS. SIX ALIVE. SIX DEAD. Only in a city with our sense of humour could we look at the inspirational and enlightening TEDx talks and think "you know what this needs? Dead people". 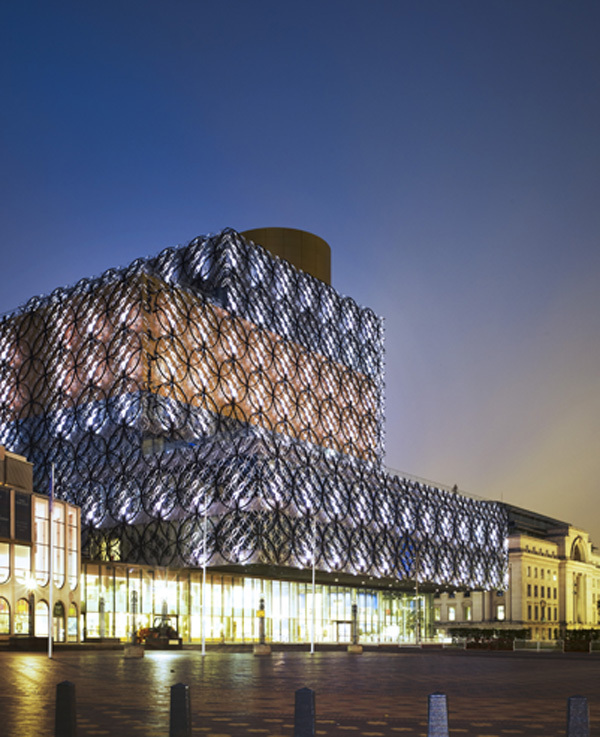 As part of the Discovery Season at the new Library of Birmingham, xHumed will be using bleeding egde technology to present an evening of part lecture, part theatre, part necromancy. Bringing us seminars from the beyond are Mary Shelley, Erasmus Darwin, HG Wells, Matthew Boulton, Geraldine Cadbury and Joseph Priestley. The event takes place on November 5 and tickets start from £14. Book here.